“We are currently evaluating further options to satisfy the fast growing markets world-wide. 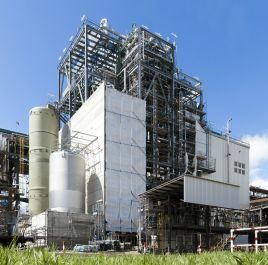 Our next step will be in the region Asia/Pacific as we are planning the construction of a new methanesulfonic acid plant in Malaysia,” said Gabriel Tanbourgi, President of Care Chemicals. BASF and PETRONAS, an oil and gas company wholly owned by the Malaysian government, agreed in March to form a new entity to construct and operate a new production facility for methanesulfonic acid and others. These facilities are going to be built at a new site within PETRONAS’s proposed Refinery & Petrochemical Integrated Development (RAPID) complex in Pengerang, Malaysia. As introduced, Lutropur is a strong organic acid that is colorless, odor-free and easy to handle, and it is neither oxidizing nor reducing. Lutropur is readily biodegradable and, unlike other grades of methanesulfonic acid, it is produced using a process that does not use chlorine. Because of the high solubility of its salts and the relatively low level of corrosion that it causes, it is increasingly being used as a high performance alternative to other acids in phosphate-free cleaner formulations. So Lutropur contributes to water protection because high amounts of phosphates in waste water streams causes eutrophication. It is used in industrial and household cleaners and in electroplating baths in the production of printed circuit boards and tin plate. It is employed in the pharmaceutical industry and the chemical industry as a feedstock for syntheses and as a catalyst.